Thank you for entering the Grizedale Mountain Bike Challenge 2016! The event will take place on the 10th September 2016 (one week to go!) With Camping and registration opening on the Friday night (9th September), and the events continuing after the race with Live Music, BBQ and Demo day. 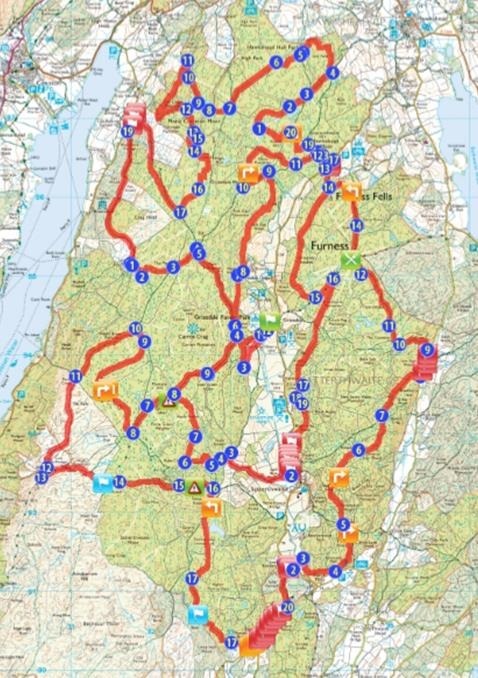 The main event is based in Grizedale Forest and will use 30 miles of trail over a 32 mile course. With 4200 feet of climbing and descents to match – the route takes in many of Grizedale most interesting riding, using many of the bridleways throughout the forest, plus several gravel tracks and footpaths. There will be two timed uphill sections the 1 Mile and the 1 Km! With one week to go we are finalising the course, getting signage up and in the forest and as always looking for more Marshals! We have event sponsors plus bike manufacturers on site to show you their new bikes, this will include Specialized and their electric Levo Bikes, Scott and the new Scale and Spark, Saracen is and the Kili-Flyer and the Ariel and Genisis is bringing their Tarn. I would also like to give a big thank you to all those who have volunteered to Marshal, we could not run an event without you. Please make sure we have big smiles for them all the way round! Finally, all of us at Grizedale Mountain Bikes Events team would like to thank everyone for their support, and for joining us on the day. From Ambleside it will take around 20 min’s. In about a minute or so you’ll turn left onto the B5286, signposted Hawkshead. Follow this road until you pass the village and come to a junction. Grizedale is signposted at this junction. Turn right, you’ll pass a school and come to another signpost. Turn right up a narrow winding lane and follow the road until you arrive at the visitor centre. It is a tight turn, and looks like someone’s driveway, so watch out! If you are approaching from the south or the M6 Junction 36, Folllow the A590, take your first left off the main road and follow signs for Barrow and Ulverston, at the roundabout turn left following the A590. Follow this road until the next roundabout where you take the 2nd turning again following the A590. At Newby Bridge you’re your first exit still following the A590 toward Barrow and Ulverston. Pass the Haverthwaite & Lakeside Railway on your right and after ¼ mile you’ll find a sign post to Grizedale – turn right following this road. The signposts lead you through country lanes to the Grizedale Forest Visitor Centre. 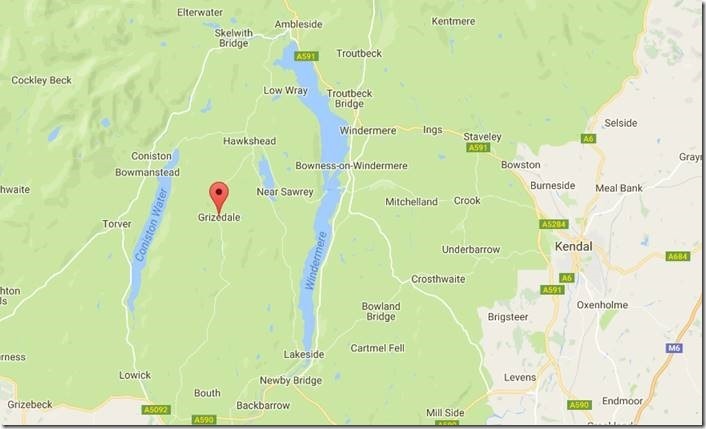 On arrival at Grizedale Visitors centre, the parking will be situated in a field at the back of the centre. Follow the signs for event parking. This will lead you past the main visitor’s carpark on the right, up a hill. Turn left before the buildings and follow the track around to the right. Parking is in the field in the front of you. Parking will be free in the event parking. Please watch out for Marshals, riders and pedestrians once you have entered the visitor centre complex – a max speed of 5mph is permitted on site. Please also note that the carpark will be shut from 9.45am on Saturday morning as the event uses the same road. Access in and out of the carpark will then be marshalled to restrict access and look after the safety of all riders, until the event finishes around 4pm. 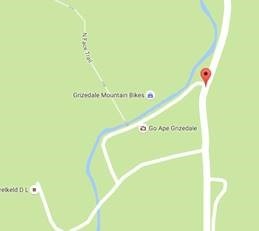 Event HQ will be based at Grizedale Mountain Bikes, with event registration and the start and Finish line also being there. Mechanics will be on site at the shop all day for any mechanical mishap! Camping is available on site, at the far end of the car parking field. If you wish to camp, please bring your SI payment with you, as marshals will be monitoring the camping. If you only decided to camp last minute (its ok we understand! We make like to change our minds too!) then bring £10 per tent with you on Friday night and either pay the Marshal on site or in the Grizedale Mountain Bike shop. Those who are camping are welcome to park their car next to the tent, but please make sure each tent is a minimum of 3 meters away from each other. There will be toilets and showers available in the camping field for your convenience, however washing up and drinking water will only be available at Grizedale Mountain Bikes shop. Please remember in an evening that there are houses nearby and children that will be trying to sleep – please keep the noise to a minimum especially after 12pm. All those who are camping on Friday night, there is a free bowl of pasta awaiting you provided by the Grizedale Café. Feel free to come and join us from 7pm – 8pm at the Grizedale Café. A good opportunity to welcome people to Grizedale, get chatting to fellow riders and enjoy a special free gift from Park Tool. You will also need to be self-sufficient on the course, so expect punctures as Grizedale is rocky – you will need a spare inner tube, tyre levers and a Pump. Medical support is being provided by the guys from Event Medical services (find them at http://www.eventmedic.co.uk/contact.html), who will be on site all day on Saturday. In addition to this the guys at Grizedale Mountain Bikes have first aid cover for all the small mishaps during the weekend! If you do have any medical conditions which might affect you on your ride, please let the event organisers know prior to setting off. Mechanical support will be available at Grizedale Mountain Bikes all day. Whilst on the course you will be required to be self-sufficient, so please make sure your bike and the kit your carry is ready for the ride. Toilets and showers will be located in the camping and parking field throughout the weekend. In addition to this, toilets can also be found in the main visitors centre complex and in the main visitor’s carpark across the road from the event HQ. Please be aware that there will be none event visitors using all the public facilities on site! The main photography for the event will be done by Sportsunday and you will be able to purchase photographs from the event via their website www.sportsunday.co.uk. Remember this is a non-competitive challenge event – therefore NOT a race. Please ensure you act accordingly when participating. Smile at people you meet and say hello! There will be marshals all the way around the course to help you if you need. All Marshals will be equipped with a radio and have contact directly with race HQ, if you are having any problems at all please make your way to a marshal (if in doubt go back to the last one you saw. ), and they will be able to speak to HQ and get any help arranged that is needed. All Marshals will also be equipped with rubbish bags so there is no excuse for dropping litter in the forest! Please be aware that Marshals are not responsible for your safety, and you have sole responsibility for your own safety whilst out on the challenge. Remember these guys have volunteered to help so please be nice to them, smile and listen to them. 5pm – Camping and Registration opens. 7pm – Park Tool Pasta Party Provided in the Grizedale Café. 8pm – Evening Riders registration closes. Music and Bar will be available until late. 10am – 11am – All riders start course depending on their allocated time slot. 2pm – Kiddies race (A fun race, in categories starting at Balance bike!) – More details will be confirmed on the day. 10am – Grizedale Mountain Bikes Demo Day – Confirmed Brands include Scott, Specialized, Saracen and Genesis. – Bikes can be booked for the guided rides by calling Grizedale Mountain bikes on 01229 860335. 3pm – Grizedale MTB Shop ride. This is a fun ride with all the Grizedale Staff, and will end with a drink in the local Pub! 5pm – Stragglers to head home! It is time to relax! Registration begins on Friday evening from 5pm to 8pm. This will be at Grizedale Mountain Bikes shop. Registration on Saturday Morning opens at 7.30am and closes at 10am. All riders must have signed up, received a race number and booked a starting slot before registration closes at 10am – no rider will be allowed on the course without a race number. All Timing and registration is provided by sportIdent. You will collect your timing chips (dibbers) when you collect your race numbers. Do not loose them as you will be liable for the replacement cost. There will be places where you need to “dib” around the course, as well as at the start and finish lines. If you do not Dib you risk not getting a time for the event. Marshals will be at all the dib points to help with this and make sure all goes smoothly! The main thing to remember is that this is a non-competitive ride, and NOT a race. Therefore the Highway Code must still be followed, and ALL riders must still abide by the rules of the road, and bridleways. You are riding on roads and public bridleways. Please be alert for vehicles, and other forest users. Although we will take every care to avoid other people on the routes you will be riding, please be aware that there could be other forest users, including small children and dogs on the gravel tracks and bridleways. Do not take any unnecessary risks – Your actions could have serious consequences. …are in place to ensure riders stay on course or to highlight hazardous features. …do not have the power to stop and hold traffic. Do not assume it is safe to cross a road/junction etc or continue when you see a marshal, always check it is safe to continue yourself. Always ride on the correct side of a road, no more than 1 abreast as the road is narrow. If you approach a horse from behind, remember to SLOW down, let them know you are there (politely), and give them plenty of space when passing. Ride responsibly: look after yourself and the people around you. Respect the environment and ALL other forest users. DO NOT LITTER – take your rubbish with you, or give to a Marshal or a feed station – anyone caught littering will be disqualified. …about your position on the track, allow people to pass you when possible. …about other people (riders, spectators, local residents etc). We all have a part to play; rider behaviour is crucial in protecting the future of cycling events in Grizedale. As with all technical riding there are some specific hazards on the course. These will either be signed or a marshal will be near the obstacle to make you aware of it. Please ride these with caution. Remember Grizedale is very rarely dry so be prepared to get a bit wet, and for the sections to be slippy. If there is an emergency please make your way to the nearest Marshal who will have a radio and can contact HQ and the medics or mechanics. 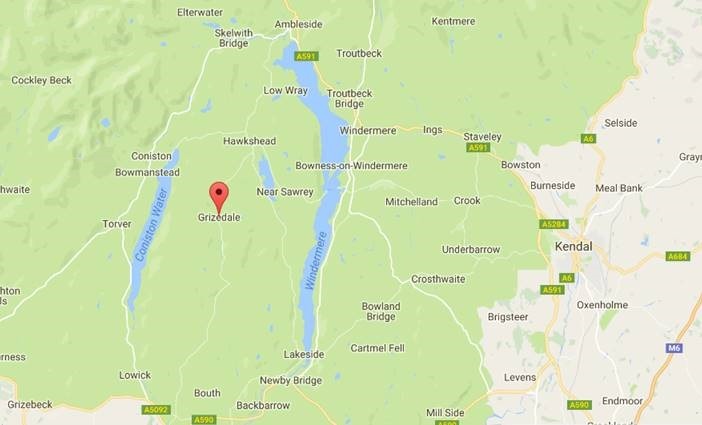 If this is not possible please phone Grizedale Mountain Bikes on 01229860335 or 01229860369 and they will contact HQ directly. Finally please remember that the decision of the Event Organiser is final, and without argument! 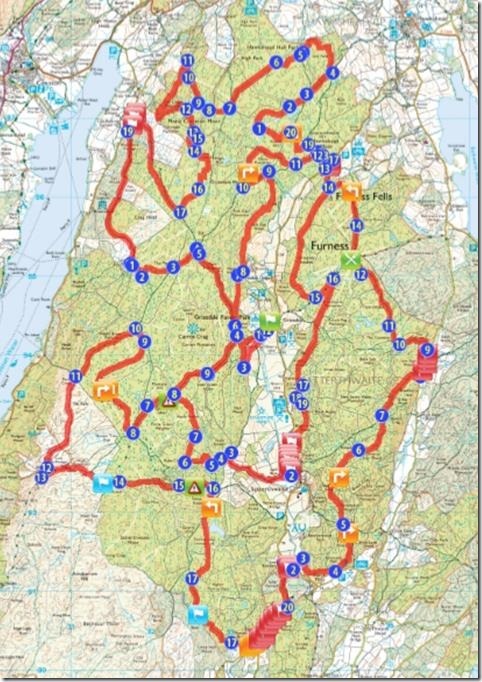 The route will be signed throughout the forest, most of them are black with yellow writing, or on a yellow background. There will also be either shamano tape, or Lazer tape to help guide you through the route. Please do not ride the route before the event – many of the sections are on walking trails or going in the wrong direction for the intended route. The detailed map will be released on the day of the event. There will be two feed stations in the forest on route, both can be accessed twice if required (though will be easier accessed from one direction). These will all be signposted round the event. You will be able to dib in and out of the feed stations, and have a maximum of 5 minutes free time at these to recover. At each feed station there will be Water, Haribo, Crisps, Jelly Babies and Biscuits. You should carry all your other energy, and water with you on the course. Bin bags will be available at the feed stations for rubbish. All Marshals will also be equipped with rubbish bags to so there is no excuse for dropping any litter in the forest! 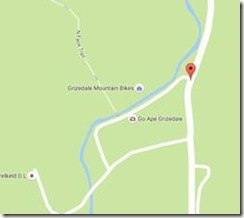 Event HQ, and the start and finish line are all based at Grizedale Mountain Bikes. The finish will have barriers to slow everybody down when entering the finish. Dib at the entrance and then please walk your bike to get your timings. There will be marshals on the finish to help this all go smoothly. We are grateful to Pat, who is our “Tail end Charlie”. Please be nice and smile at him! HE will be sweeping the course at the end, and also work closely with the marshals and event HQ if he feels that there are people who will not finish the course in the allotted time. He is on the course to help with any issues, and has both mechanical knowledge and first aid. You are not allowed to go behind the “tail end Charlie” at any time, he will be the last down the course. Become a British Cycling Ride member and benefit from up to £10million liability insurance, free legal advice and support when riding in a non-competitive environment like a sportive or when commuting. Other benefits if being a member include access to ride tips and training plans, a weekly member newsletter, various discounts at cycling retailers, advance warning of event ticket sales and discounts and much more. All this for just over £2 a month! We are pleased to thank this year’s sponsors Madison Clothing, for their kind help and for all the prizes. Visit http://www.madison.cc/ to discover their range of cycling gear, and get yourself kitted up for the British Weather. The Grizedale Mountain Bike Challenge is also run in partnership with Grizedale Mountain Bikes and Velo Ulverston. Grizedale Mountain Bikes will be open throughout the event, providing shopping experiences and also Mechanical cover for the event.